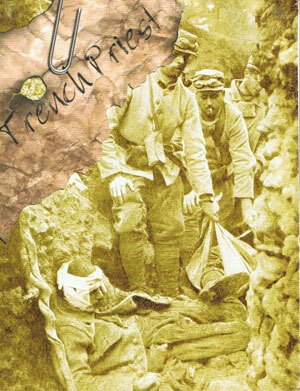 The mere saving of their souls should be the last thought of religious who have vowed their lives for God’s glory. COMMENT: Fr Doyle’s comments were written to a member of a religious order, but they apply equally to us all. It is true that our own salvation is one of our highest duties, but the reality is that our salvation is connected with that of others. There is an old saying that we don’t go to Heaven alone. Our lives are intimately intertwined with that of others. In fact, one of the things that sociology shows us quite clearly is that the example of peers has a powerful effect on human behaviour. The way we act and live has a profound effect on others, for good or bad. We should not underestimate the power of our example to bring others to a fuller practice of the faith. Neither should we underestimate the negative influence of our hypocrisy, sloth, gossip and so forth. We also see the importance of holy friendships in the lives of the saints. There are surprisingly large numbers of beatified and canonised saints who were friends or acquaintances while on earth. Numerous examples come to mind immediately. This very incomplete list may seem rather long and strange, yet it illustrates a very important point about our interconnectedness, and how good friendships can inspire and help us. There is the obvious example of the Apostles and the extended family of Jesus. St Monica was the mother of St Augustine; Augustine was baptised by St Ambrose. St Benedict and St Scholastica were twins; Saints Maurus and Placidus were intimately associated with the life of St Benedict. There is the example of the early companions of St Ignatius who have been formally recognised including St Francis Xavier and St Peter Faver. St Philip Neri was friendly with a large number of saints in counter-reformation Rome, including St Ignatius, St Felix of Cantalice, St John Leonardi and St Camillus, as well as Venerable Cardinal Baronius, whose cause has been reopened. He was also close to St Charles Borromeo who in turn gave shelter to St Edmund Campion when he was making his way through Milan back to England (and martyrdom). St Charles Borromeo was also a close friend of St Pius V, who surely was also close with other saints of that era (how interesting it would have been to live in Rome in the latter half of the 16th Century!!). St Dominic and St Francis knew and admired each other and the latter was of course close to St Clare. St Thomas Aquinas was taught by St Albert the Great and was a friend of St Bonaventure (3 Doctors of the Church connected together…). St Teresa of Avila received spiritual direction from St John of the Cross, St Francis Borgia and St Peter of Alcantara, and her companion and secretary at the end of her life was Blessed Anne of St Bartholomew. St Martin de Porres and St John Macias were friends in Lima; I’m not aware if either of them met St Rose of Lima, but given that she was a Dominican tertiary in the same city it is likely that they did, or were at least aware of her presence. Blessed Raymond of Capua was the confessor of Saint Catherine of Siena. St Francis de Sales was the director of St Jane Frances de Chantal. St Vincent de Paul was the director of St Louise de Marillac. St Claude de la Colombiere was the director of St Margaret Mary Alacoque. Blessed Michael Sopocko was the director of St Faustina. St Jerome was close to St Epiphanius, and provided guidance to St Paula; she was the mother-in-law to St Pammachius. Blessed John Henry Newman was received into the Church by Blessed Dominic Barberi, who also received St Charles of Mount Argus into the Passionists. Blessed Dominic Barberi and Blessed John Henry Newman both knew Fr Luigi Gentili, whose cause should be opened. Luigi Gentili was a disciple of Blessed Antonio Rosmini who was closely connected with Blessed Pius IX. St Vincent Strambi was a disciple of St Paul of the Cross (and his postulator and biographer) and a director of St Gaspar de Bufalo and Blessed Anna Maria Taigi who in turn was a close friend of Blessed Elizabeth Canora Mora. St Vincent Pallotti also moved within this 19th century Roman circle. When St Benedict Joseph Labre died as a beggar on the streets of Rome, the children ran through the streets shouting that the saint was dead. Blessed Anna Maria Taigi lived in that very area of Rome and it is thought that she was one of those children who raised the alarm at his death, and that her mother prepared his body for burial. St John Vianney’s family gave hospitality to St Benedict Joseph Labre when he passed through their town. St John Vianney, in turn, was a friend of St Peter Julian Eymard, St Marcellin Champagnat and Venerable Pauline Jaricot. There were numerous saints in Turin who interacted with or influenced each other at the time of St John Bosco, including St Joseph Cafasso (his confessor), St Joseph Cottolengo and St Dominc Savio. St John Bosco also worked closely with St Maria Domenica Mazzarello. Blessed Elena Guerra was the teacher of St Gemma Galgani who in turn was directed by Venerable Fr Germanus. Saints Francisco and Jacinta of Fatima were brother and sister and were cousins of the probably soon to be beatified Sr Lucia. Blessed Luigi Beltrame Quattrocchi was married to Blessed Maria Corsini; similarly Saints Louis and Zelie Martin were married and were the parents of St Therese of Lisieux. St Alphonsus Liguori was surrounded by an astounding number of holy souls during the early years of the Redemptorists – from those first members who associated with the saint in some fashion, there are 24 causes for canonisation that have been opened! And, a little while after the time of St Alphonsus, two well known Redemptorist missionaries in America were also close – St John Neumann and Blessed Francis Xavier Seelos. St Josemaria Escriva, the founder of Opus Dei, was a friend of St Pedro Poveda, the founder of the Teresian Association. St Josemaria also received help from Blessed Ildefonso Schuster, the Benedictine Archbishop of Milan. He of course was also close to several early members of Opus Dei whose causes have been opened, in particular Venerable Isidoro Zorzano, Venerable Guadalupe Ortiz de Landázuri (soon to be beatified) of course Blessed Alvaro del Portillo. 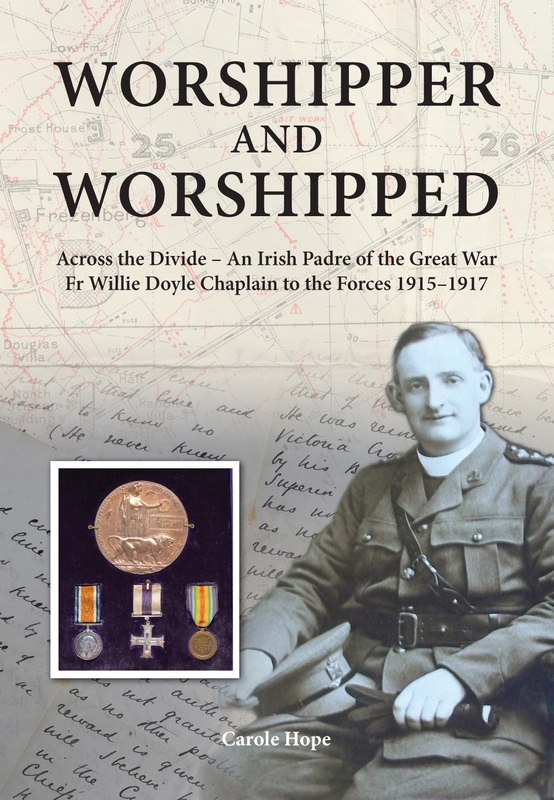 And of course there are those renowned for their holiness in the Legion of Mary who were close contemporaries – the Servants of God Frank Duff, Alfie Lambe and Venerable Edel Quinn. I previously mentioned St Vincent de Paul and St Francis de Sales but didn’t mention that they were friends of each other. They were both also friends of Blessed Marie of the Incarnation (also known as Madame Acarie). St Francis de Sales was also a friend of St Robert Bellarmine; St Robert was for a while the confessor of St Aloysius Gonzaga. St Aloysius also received his First Holy Communion from St Charles Borromeo, who we already mentioned. Shortly before this time, St Peter Canisius was recruited to the Jesuits by St Peter Faber; St Peter in turn recruited St Stanislaus Kostka. St Peter Canisius and St Francis de Sales also corresponded about matters relating to the Catholic Reformation. Staying with the Jesuit theme, St Alphonsus Rodriguez was a close friend and advisor of St Peter Claver. St Basil the Great and St Gregory Naziazen were also close friends. St Bernard was known for his close friendships – Ireland’s own St Malachy was a close friend and he died in Bernard’s arms. St Bernard had such an influence over others that over thirty other young men joined him when he entered the monastery. Some of these are family members, and several members of his family have also been beatified and/or canonised. I’m sure that there are other saintly friendships in the life of St Bernard about which I am unaware. Another monk, this time the famous Irish Benedictine, Blessed Columba Marmion, was also known for his holy friendships. He was close to the well known spiritual writer Archbishop Alban Goodier and of Cardinal Mercier. I’m cheating a little bit there as their causes have not been opened, but both of them were renowned for their holiness. However, I’m not cheating by pointing out that Blessed Columba was the spiritual director of the Servant of God Mother Mary of St Peter, the foundress of the “Tyburn Benedictines”, whose cause has been opened. St Bridget of Sweden, one of the Patron Saints of Europe, was the mother of St Catherine of Sweden. Two other Patron saints of Europe – Cyril and Methodius, were brothers. Saints Cosmas and Damian were also brothers. Closer to our own day, Blessed Charles of Austria was married to Princess Zita, whose cause has recently been opened. And speaking of family members, Blessed Joan of Aza was the mother of St Dominic and Venerable Margherita Occhiena was the mother of St John Bosco. Also closer to our own time we find the friendship of St Damien of Molokai and St Marianne Cope. The great Spanish Carmelite reformer of the 20th Century, St Maravillas was a friend of the Jesuit Venerable Fr Tomas Morales, who founded the Crusaders of Mary. The founder of the Divine Word Missionaries, St Arnold Jansen, was a friend of St Joseph Freinademetz and of Blessed Helena Stollenwerk. And of course, Saint John Paul II had a well known friendship with Saint Teresa of Calcutta, and was naturally also friendly with many contemporary saints of his time, including Blessed Alvaro del Portillo. He was also appointed bishop by Saint John XXIII and created a cardinal by Saint Paul VI. He also corresponded with St Pio of Pietrelcina and went to him for confession. Then there are numerous martyrs who supported each other during major persecutions. Consider the supportive friendships and good examples provided by the early Christians, those persecuted in Elizabethan England, the French Revolution, the Mexican Cristero War, the Spanish Civil War and as well as the Nazi and Communist persecutions. And then there are those blessed Irish martyrs who knew and inspired each other during the time of the Irish Penal Laws. We see this friendship also in the life of Fr Doyle. He was ordained on the same day as Blessed John Sullivan SJ and was directed by Venerable Adolphe Petit during his tertian year in 1907 in Belgium. 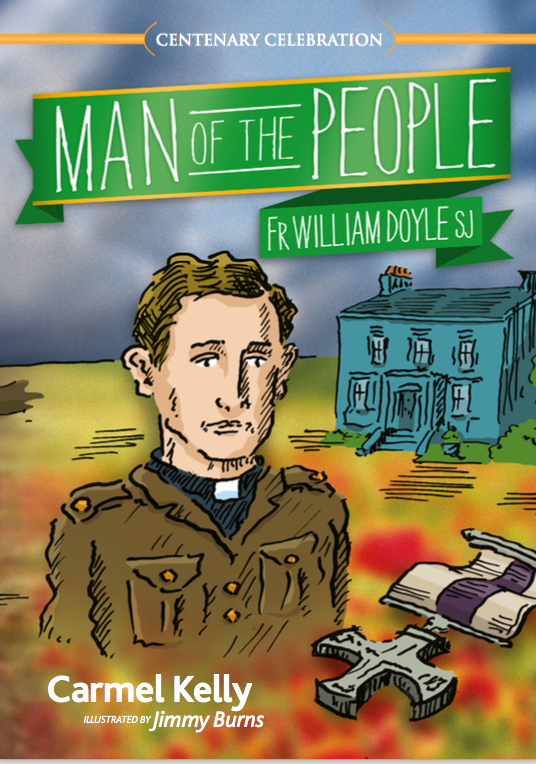 He also assisted Fr James Cullen SJ in his work in governing the Pioneer Total Abstinence Association. 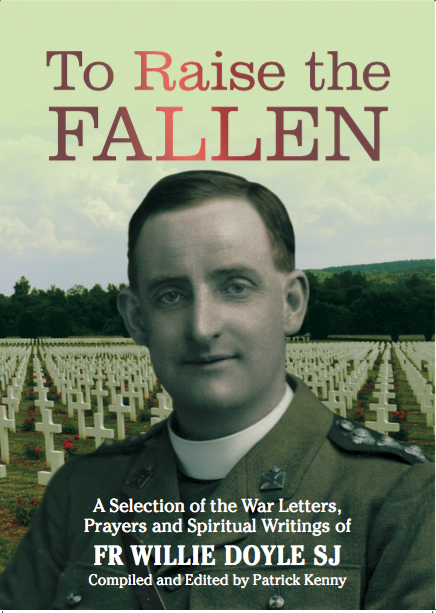 One wonders if Venerable Matt Talbot ever met Fr Doyle? He probably did, since they were around Dublin at the same time. 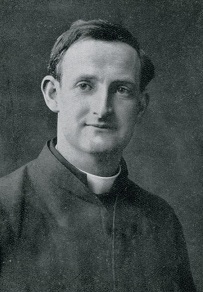 Blessed Columba Marmion, as Fr Joseph Marmion, was a professor in Clonliffe and may well have interacted with Matt Talbot – the two were almost exact contemporaries and Matt was known to visit the priests in Clonliffe. 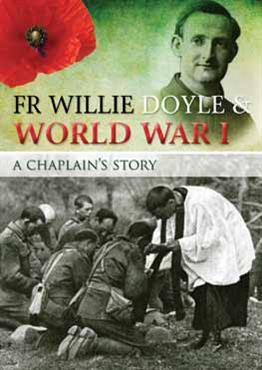 And of course, after his death Fr Doyle continued to inspire many others recognised for their own holiness. These include St Josemaria Escriva, St Alberto Hurtado, Saint Teresa of Calcutta, the Servant of God Monsignor Bernard Quinn from New York and Fr Wlodimir Ledóchowski, the Superior General of the Jesuits (whose own sisters have been raised to the altars: Blessed Maria Teresia Ledóchowska and St Ursula Ledóchowska). And, because saints are humans and not angels, not all saints got on well together. There are surely fewer cases of disagreeing saints, and perhaps biographies don’t want to record them in quite so much detail. But we know that St Jerome and St Ambrose, despite being two great Fathers and Doctors of the Church, were not friendly. I seem to recall that St Charles Borromeo had a falling out with another saint, perhaps about vocations, but I can’t recall the details, so I may be wrong. I also have a faint recollection that St Philip Neri may have had a short lived misunderstanding with another saint, perhaps it was St Ignatius? Again, my recollection may be faulty here. But one thing we are more certain about – Blessed John Henry Newman was distinctly cool towards Blessed Pius IX. I don’t know if they ever met, but Blessed Newman wrote about Blessed Pius IX as follows: “But we must hope, for one is obliged to hope it, that the Pope will be driven from Rome, and will not continue the Council, or that there will be another Pope. 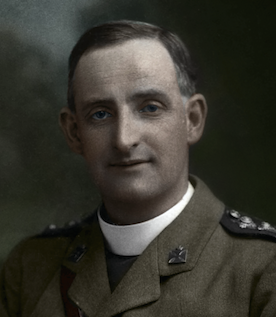 It is sad he should force us to such wishes.” Remember – this is about a beatified pope, from a man who himself has been beatified, is likely to be soon canonised, and who many consider to be a future Doctor of the Church. Such is the fascinating universality and liberality of the Church. Pray for me, as I will for thee, that we may all happily meet in Heaven. Let us live with our friends in such a way that we can be assured of bringing them to Heaven with us. By the way, I would be delighted if anyone can add to this list – just leave a comment! Bl. Marie Deluil-Martiny received first communion from Saint Eugène de Mazenod and later visited Ars to speak with St Vianney. One of her spiritual directors was Fr John Cavage who should be a saint. Thanks for this – always great to have more to add to the list!